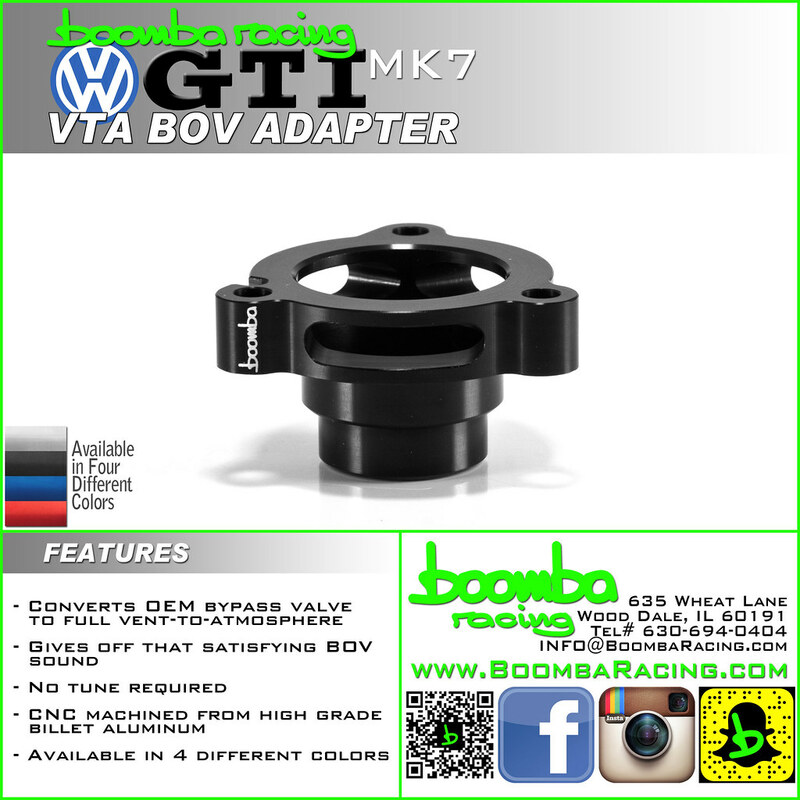 This high performance adapter mounts between the OEM bypass valve/solenoid and the turbo housing, causing the unused charge air to vent to atmosphere (VTA) giving off the well known, but distinct sound all turbo owners know and love! The adapter bolts right in with the included longer bolts, no other modifications or tuning are required. Installation is simple (car does not need to be raised) and all mounting hardware is included. 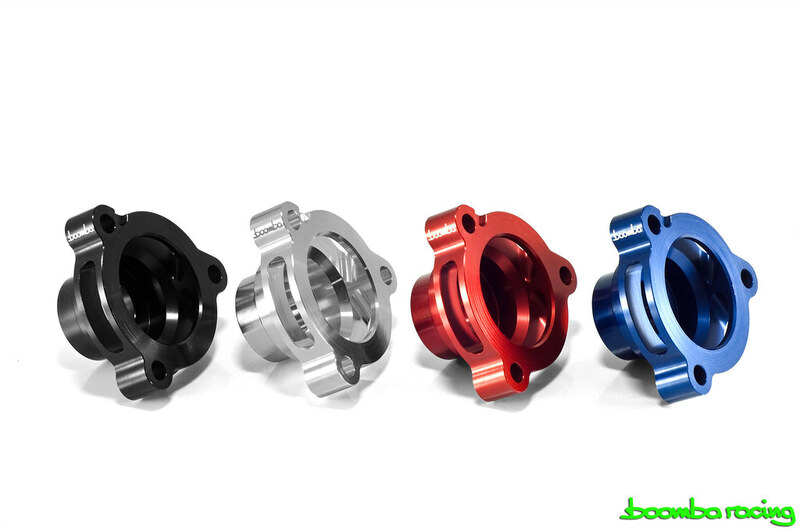 Precision CNC machined out of high quality aircraft grade billet aluminum. Last edited by Boomba Racing; 07-07-2016 at 07:24 PM. Last edited by Boomba Racing; 06-30-2016 at 03:39 PM. That will be shipping out first thing today for you! Installation video is now available! We have not yet tested it on a 1.8 yet, but we have strong reason to believe it'll work there, also. Any discount for me to test for you? Are you guys located in wood dale il? Is this just for noise, or does it actually function like an upgraded bov/dv? Will it hold boost better than the stock valve? Yes we are located in Wood Dale, Illinois! Not far from O'Hare Airport. Performance isn't changed from the installation of this part. This is more for the sound aspect of things. You do protect your engine a little bit from blow-by though because the oily air that was being recirculated into your intake before, is now being vented out into the atmosphere. 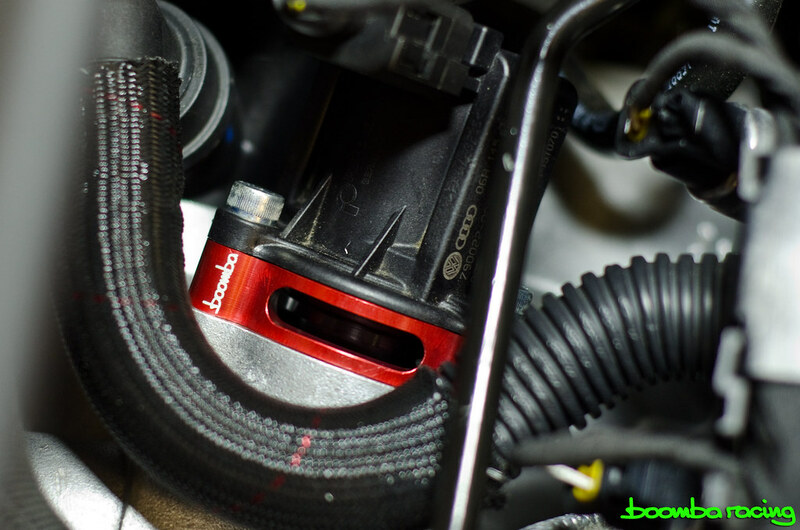 We currently have a full BOV replacement going through testing which replaces the stock valve. will this work with a upgraded DV? Yes . It will let the DV vent to atmosphere rather than intake.